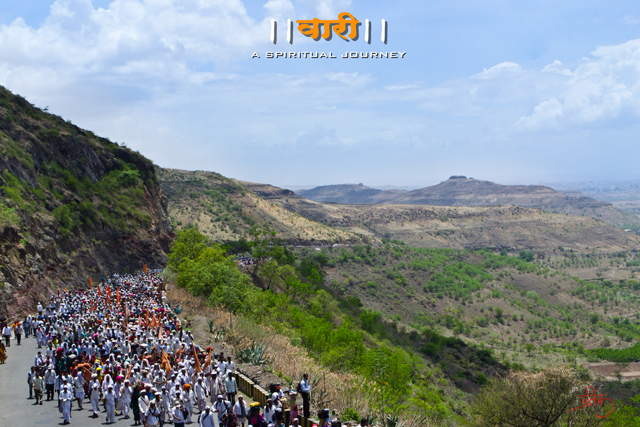 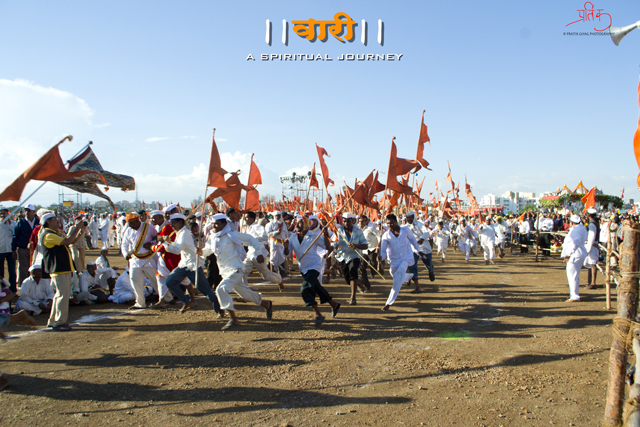 A ” वारकरी ” (Warkari) means a pilgrim and वारी (Wari) comprises a pilgrimage in which the warkaris undertake the 240km long journey on foot from Dehu ( Sant Tukaram Maharaj) and Alandi ( Sant Dyaneshwar Maharaj) and numerous other places and lacs of pilgrims take part in the journey which lasts for 15 days ending on Ekadashi. 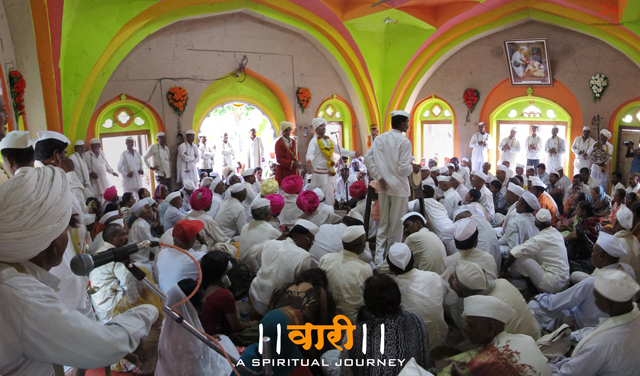 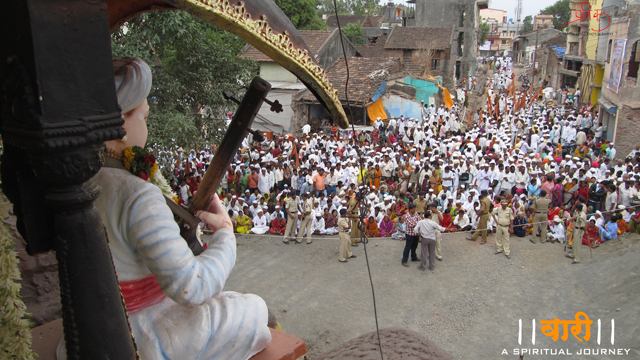 Pilgrims form numerous दिंडी ( Dindi ) which comprises a group of people from a a village or particular area. 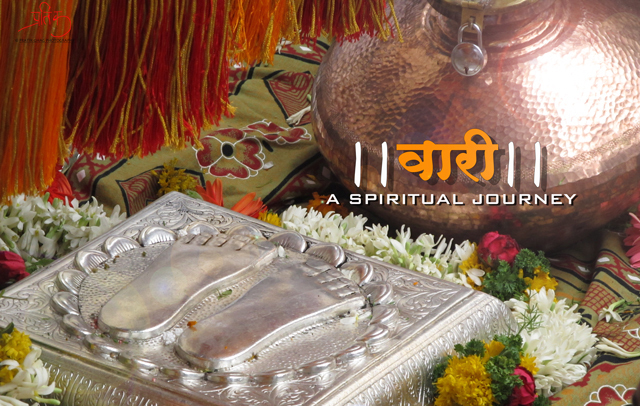 The दिंडी ( Dindi ) has a owner who looks after the expenses and a विणेकरी ( Vinekari ) who looks after the discipline in the दिंडी ( Dindi ). 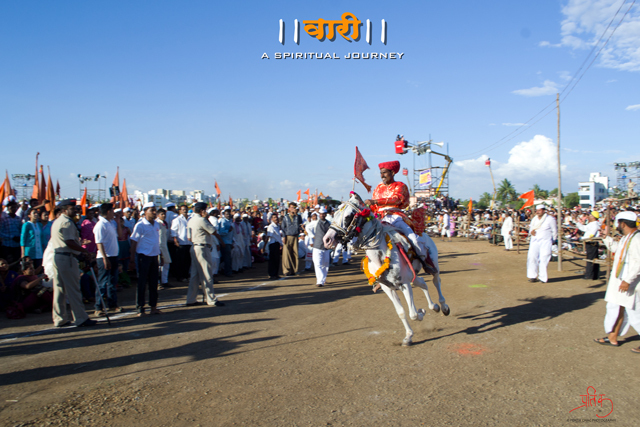 The people travel to the devotion and tune of विठ्ठल ( Lord Vitthal ) the only deity in the Hindu mythology who is without any weapons and hence termed as the deity of common people. 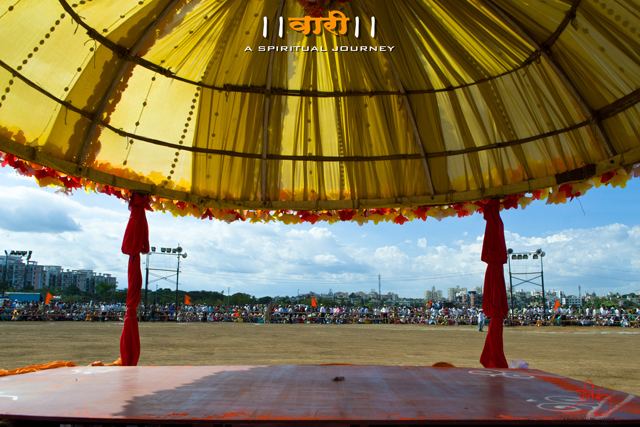 The journey comprises of various programs to entertain the Warkaris which comprises various events like bhajans. 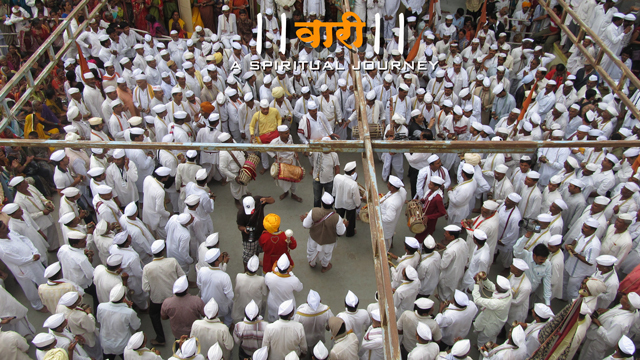 But most notable among them is the रिंगण ( Ringan) which has two types : 1.गोल रिंगण ( Gol or circular Ringan) and 2. 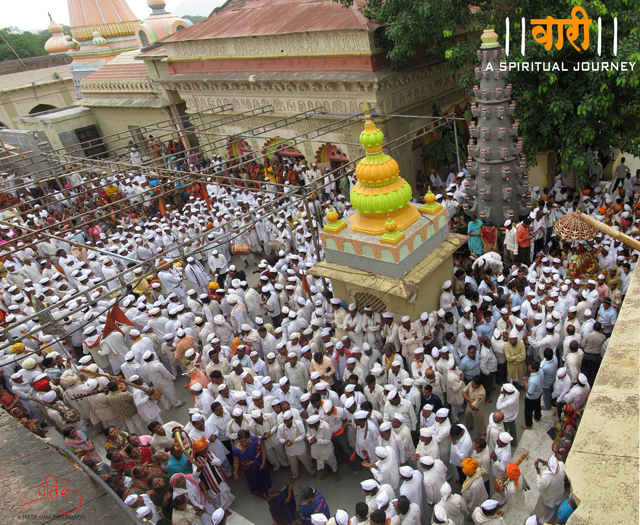 उभा रिंगण (Ubha or standing Ringan). 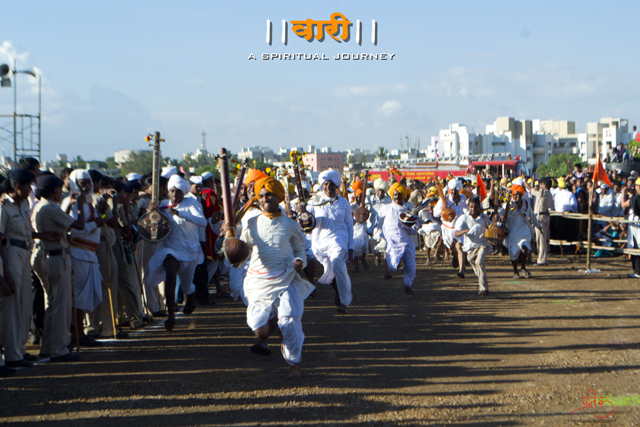 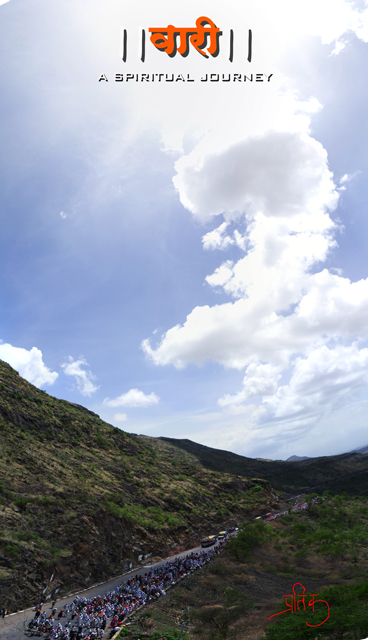 A 15km long walk along with the Warkaris. 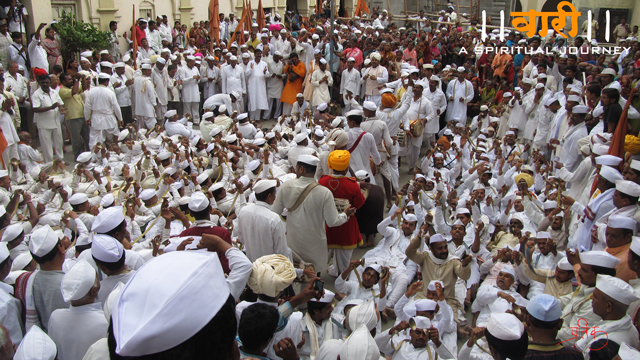 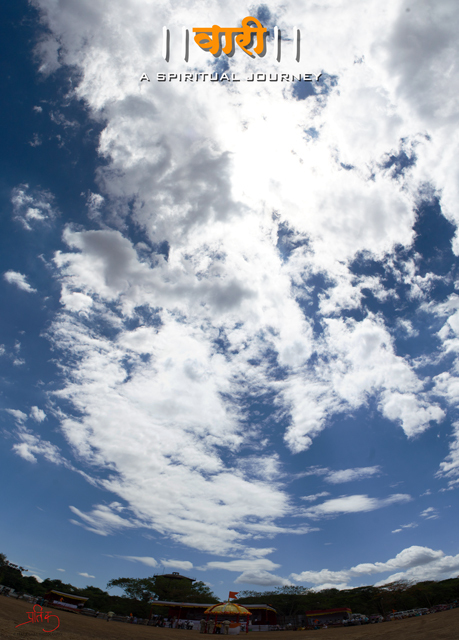 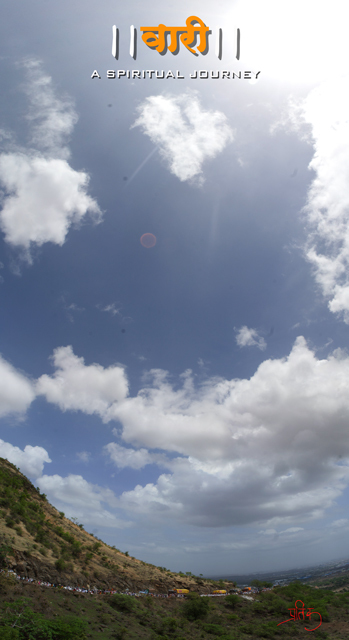 Please upload my favorite picture clicked by you…various taalkari…..